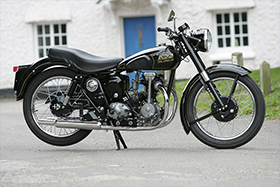 You can search for parts by motorcycle manufacturer (eg Triumph), part description or Armours part number. All prices shown exclude VAT and carriage. You can pay for your order online either with a credit or debit card, or by bank transfer, please ensure all bank charges are prepaid. Just submit your shopping list and we will send you an invoice which includes all carriage and VAT (where applicable) charges. You can contact us with your Visa,Mastercard, or Switch card, please telephone with your card number, expiry date, and security number on + (44) 1202 519409 or fax your details to us on + (44) 1202 510671. You can also pay by Cheque(sterling), Postal Order or by Bank transfer, please ask for our Bank details).